If you were a monk in the deserts of Egypt in the fifth century, your practice would begin and develop under the guidance of an elder. While you would spend most of your time in solitary prayer, the elder would provide regular insight, which might come in a short saying or apophthegm. It would be your task to meditate on this saying, learning to put it into practice, until the time came to receive the next piece of spiritual insight. It is these direct sayings, given to monks one by one, that are collected in The Book of the Elders. 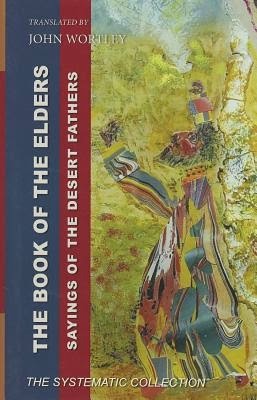 Over the years, the Desert Fathers’ insights passed from one monastic generation to the next, made their way from the original Coptic into Greek, and accumulated in written collections that preserved the oral tradition. Wortley has translated the “systematic collection,” a compendium of sayings drawn from the two earlier collections, the “alphabetic” and “anonymous” apophthegms. His translation aims to preserve not only the precision of the elders’ meaning but also the simplicity of their tone, in the hope that today’s readers, too, can imagine sitting at their feet. To this, we might add: we also grow into 'em. Sayers herself gave us a fair and varied number of volumes to grow into and out of: poetry, plays, mysteries, essays, and translations (she considered her rendering of Dante's Inferno to be her best work, idiosyncratic though it may be). Listed below you'll find a few titles by Sayers that we usually keep in stock. Click through to find out more, and stay awhile. “If there is a meaning in life at all, then there must be a meaning in suffering. Suffering is an ineradicable part of life, even as fate and death. Without suffering and death human life cannot be complete.” This quotation from Victor Frankl’s Man’s Search for Meaning expresses the perspective Hinshaw adopts in this study of the true meaning of “care for the sick.” After exploring the ancient Christian tradition with regard to healthcare and then surveying how “care for the sick” has largely given way to a concern for “curing the disease,” he embarks on a study of what it truly means to care for those who are suffering during illness. Part one asks “what is suffering, and what is its significance?” Defining suffering as a “threat to the unity of the person,” Hinshaw illuminates (through theological reflection and qualitative research) what patients and their loved ones experience as they undergo suffering on multiple levels. The second part focuses specifically on the encounter of a patient with those trying to help, asking what constitutes a therapeutic relationship and how the patient’s pain should be viewed in that context. Hinshaw then proposes that some measure of healing can be achieved even when the patient’s suffering will end in death. Gathering wisdom from secular psychology and recent trends in the spirituality of palliative care, he offers a distinctly Christian perspective on suffering and death, including the roles played by reconciliation, gratitude, and communion in the “transformation of suffering into victory,” even at the end of life. Who among us has not suddenly looked into his child's face, in the midst of the toils and troubles of everyday life, and at that moment "seen" that everything which is good, is loved and lovable, loved by God! Such certainties all mean, at bottom, one and the same thing: that the world is plumb and sound; that everything comes to its appointed goal; that in spite of all appearances, underlying all things is—peace, salvation, gloria; that nothing and no one is lost; that "God holds in his hand the beginning, middle, and end of all that is." 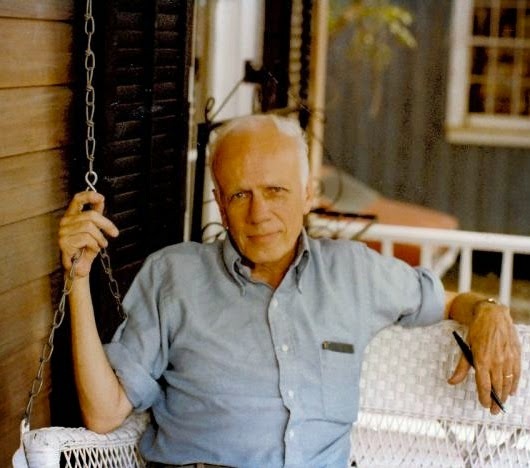 Today we mark the birth of Walker Percy (1916–1990). Born in Birmingham, Percy remained in the South throughout the course of his life (save a short stint in New York City, where he attended medical school at Columbia University). The eldest of three sons, Percy was orphaned after both of his parents committed suicide within a span of two years. Raised with his brothers by his bachelor cousin (a lawyer and poet), Walker was brought up as an agnostic but converted to Catholicism as an adult, alongside his wife and children. 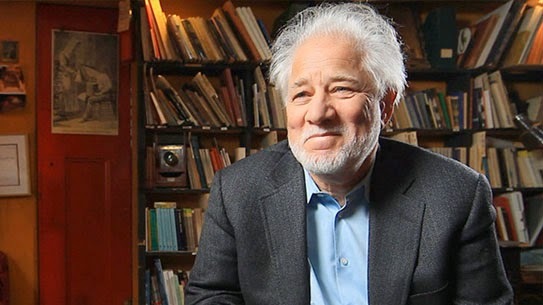 Percy met Shelby Foote—a neighbor boy down the road—when he was fifteen, and the two remained lifelong fraternal and literary friends, deeply influencing each others' work. 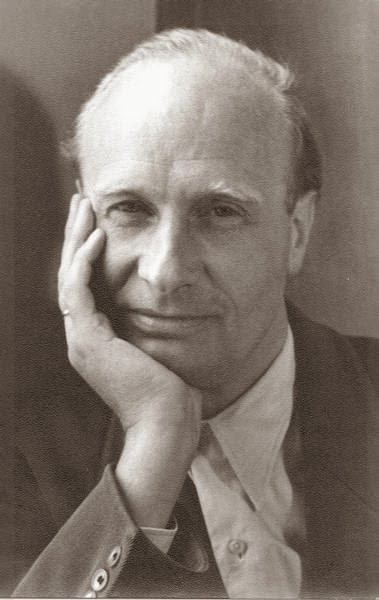 Percy credits tuberculosis for introducing him to Kierkegaard and Dostoevsky, whom he read during his long convalescence and who ultimately influenced him to "explore the dislocation of man in the modern age." 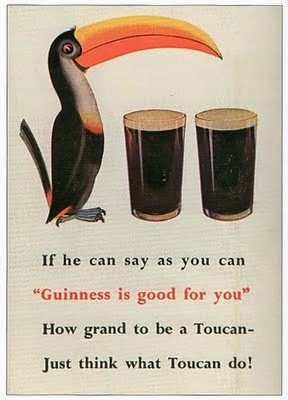 He also said: "[Tuberculosis was] the best disease I ever had. If I hadn't had it, I might be a second-rate shrink practicing in Birmingham, at best." Percy won the National Book Award for his (probably most famous) novel, The Moviegoer, but his essays are also wonderful. Click the links below to see what we currently have in stock. It's one thing to develop a nostalgia for home while you're boozing with Yankee writers in Martha's Vineyard or being chased by the bulls in Pamplona. It's something else to go home and visit with the folks in Reed's drugstore on the square and actually listen to them. The reason you can't go home again is not because the down-home folks are mad at you—they're not, don't flatter yourself, they couldn't care less—but because once you're in orbit and you return to Reed's drugstore on the square, you can stand no more than fifteen minutes of the conversation before you head for the woods, head for the liquor store, or head back to Martha's Vineyard, where at least you can put a tolerable and saving distance between you and home. Home may be where the heart is but it's no place to spend Wednesday afternoon. Hatred strikes me as one of the few signs of life remaining in the world. This is another thing about the world which is upsidedown: all the friendly and likable people seem dead to me; only the haters seem alive. Even though a life of prayer is “the highest, and also the truest, form of human existence,” many obstacles make it difficult to attain. Archimandrite Irenei offers help in this small volume, taking seriously the fact that most of us, straining toward prayer while surrounded by a world of distractions, are mere beginners. 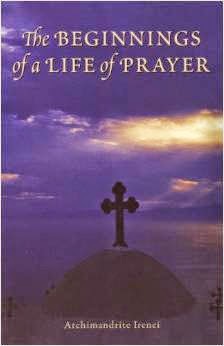 The book begins with a reflection on the lowly position of the person who seeks to pray. We are vulnerable to both spiritual opposition and harmful passions, and we must focus attention on the Kingdom of God and learn the discipline of obedience. Ultimately, prayer is directed toward transformation of our life into a life rooted in Christ’s. 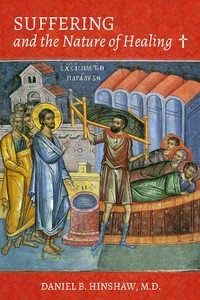 The second part of the book offers theological reflection on what it means to take up a life of prayer, encouraging us that, while difficult, prayer is possible—it is, after all, “the heart’s true home.” These reflections culminate in two “centuries,” or sets of one hundred digestible reflections for readers to consider. They discuss prayer as Sabbath rest, defeating obstacles to prayer, practical steps to quieting and disciplining the mind, the use of the Jesus Prayer, and a centering focus on Christ’s death and Resurrection. A "body full of sentences…"
If you have snapshots of Eighth Day Books, either at our brick and mortar store or at one of our many venues on the road, we would love to add them to our photo board. Just email them to eighthdaybooks@gmail.com and we'll pin them up!